Whether you’re looking for a one-of-a-kind engagement ring or a custom bracelet, Scott & Co. Fine Jewelers can design it. In this modern world of malls, internet shopping, and super stores—where you can fill your cart with everything from a pair of jeans to a frozen pizza—shops with quality merchandise and old-fashioned service are fading fast. Thankfully, there are a few specialty stores left in this world. One such place is Scott & Co. Fine Jewelers, which opened its doors in January 2000 and is located on the corner of the New Oxford square at 2 Lincoln Way East. Couples getting engaged or celebrating a special occasion this year are sure to find just what they need right here. 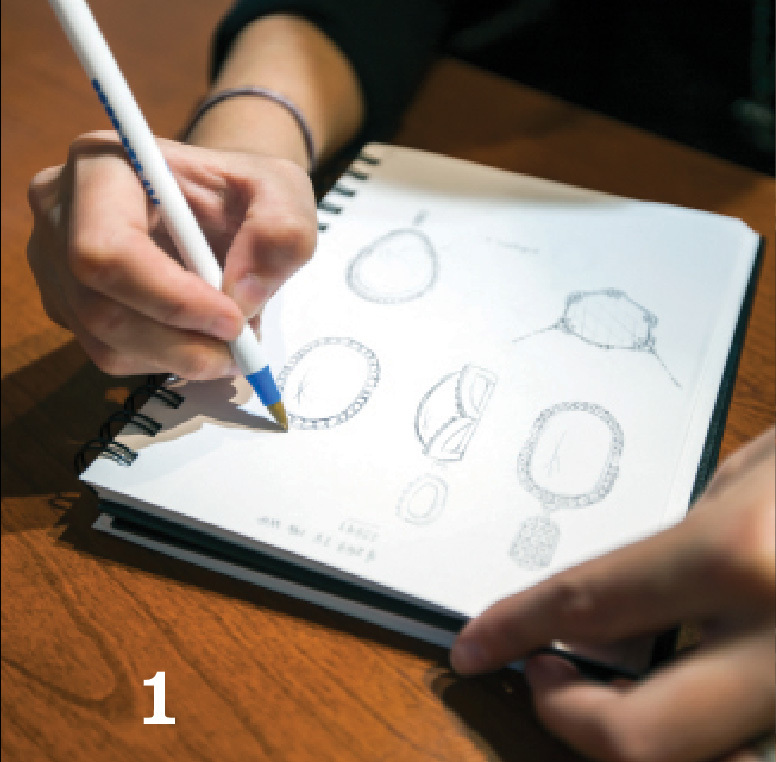 First, Amanda Hart listens to the customer’s vision and sketches it out on a pad until the final drawing is approved. Then, she turns to her computer to transfer the design into a 3D one, making slight tweaks according to the customer. Under the watchful eye of jeweler Ross Farrar, a milling machine carves Hart’s exact design into a green wax/plastic mold. 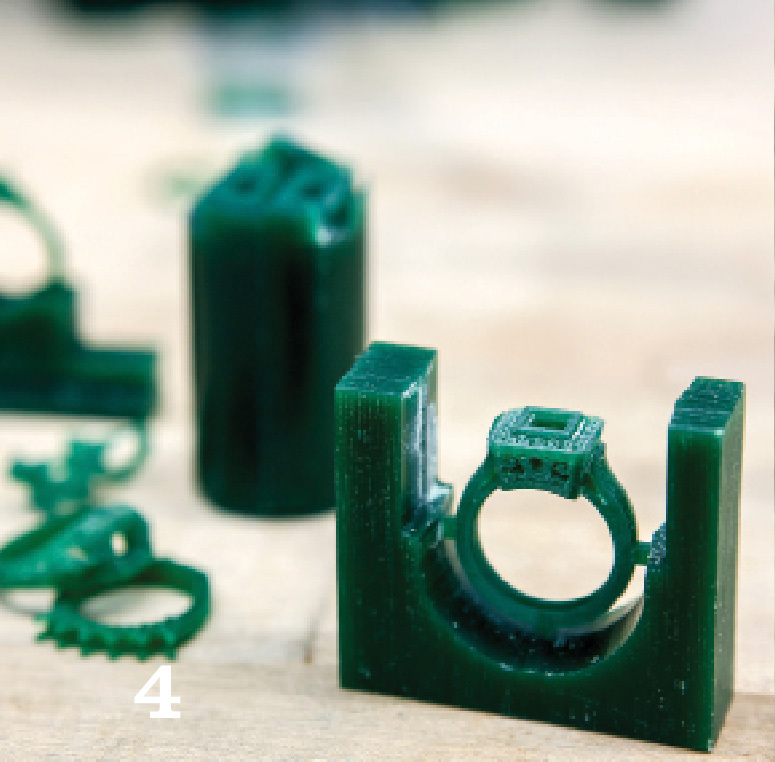 The mold is ready to be transferred into a gold ring—or silver or platinum, depending on the customer’s specifications. Scott Balser completes the casting process, heating the metal until it’s molten and then pouring the molten metal inside the cask. Finally, a thing of beauty is created—filed, polished, and embellished. The piece is meant to last a lifetime and beyond. Stepping into the lovely shop with its laminate wood floors and sunshiny windows is soothing to the soul. But once your eyes catch a glimmer of the color-saturated gemstones sparkling in the showcases, it’s hard to notice anything else. While most of the jewelry is supplied by high-quality vendors and artists, many pieces are made in-house by a team of professional jewelers. 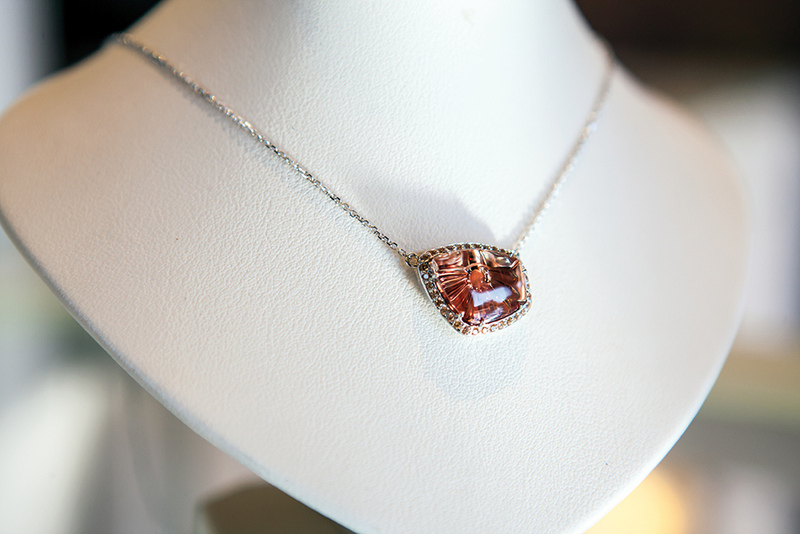 Owners Scott and Karen Coyle purchase one-of-a-kind gems from jewelry shows around the country, and Scott & Co. staff designs settings to showcase the jewels at their best. If you don’t find what you love, the staff can turn your vision into a reality. 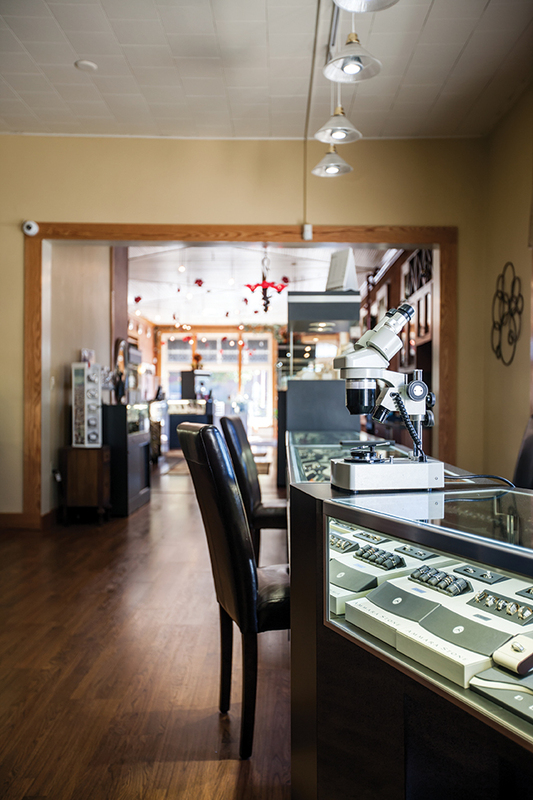 They custom-design and build jewelry to customers’ specifications, everything from engagement rings, pendants, earrings, and bracelets to cufflinks or heirloom replicas. 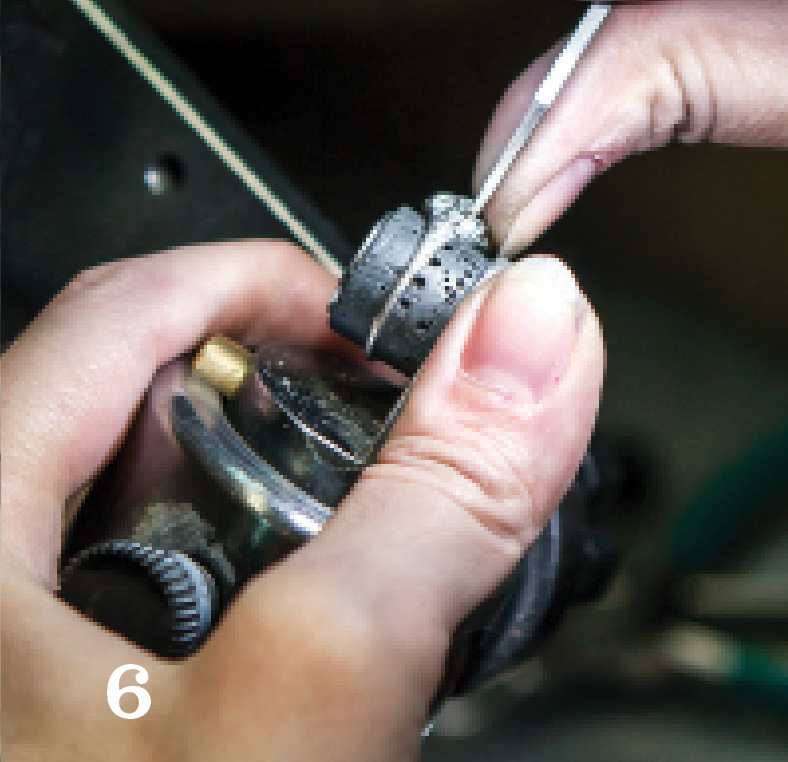 Additionally, Scott & Co. offers on-location repairing, resizing, and engraving. While the store certainly has an impressive list of attributes, at the heart of the business are the people running it. 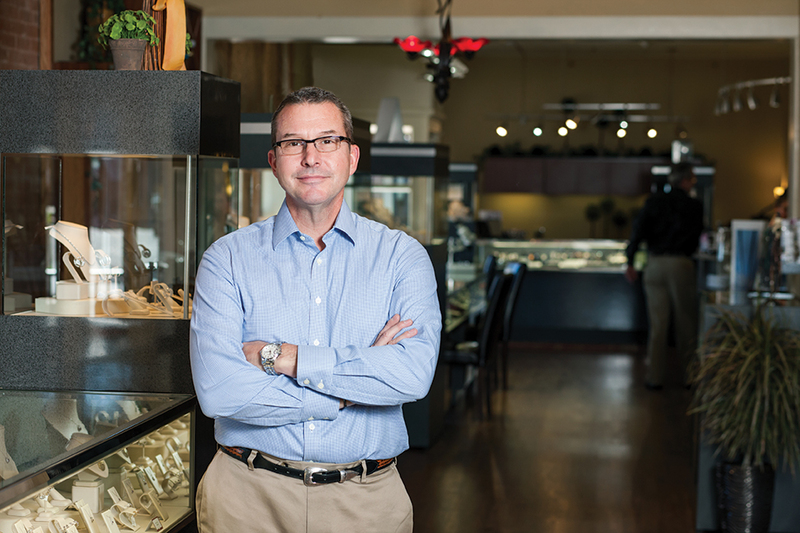 The Coyles have surrounded themselves with experienced, dedicated jewelers: Libby Norris, Ross Farrar, Amanda Hart, and Scott Balser. They share a passion for their craft, and for making customers happy and building relationships with them. They want people to come back again, share their stories, and give feedback. “It’s one of the few professions where almost everything you do makes people smile. To be able to do that on a daily basis is very fortunate,” says Coyle, who started his career as an electrical engineer but changed paths forever when he took a seasonal, part-time job in a jewelry store 31 years ago. 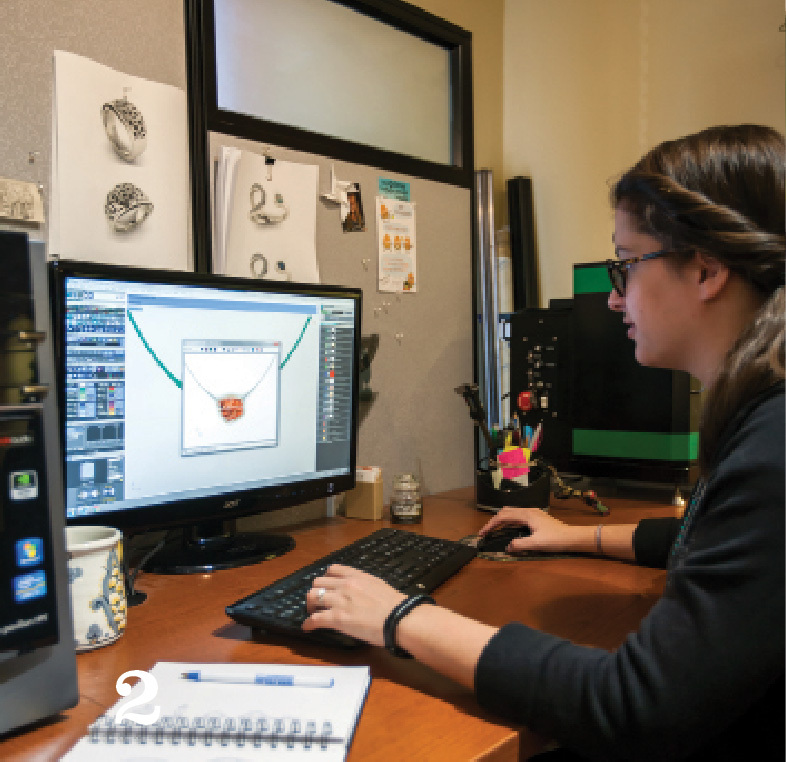 Equally committed to her career choice is designer Amanda Hart, whose job is to make customers’ jewelry dreams come true—first on a sketchpad, then on a computer screen. Do you want white, yellow, or rose gold? No problem. Do you prefer round diamonds, pear-shaped, heart-shaped, or princess cut? Coming right up. The other members of the jewelry design team, Norris, Farrar, and Balser, work behind the scenes in a studio next to the showroom but with a large window in front, so people in the shop can peek in. “There’s probably 100 years of [combined]experience back there, a lot of talent behind that glass wall,” says Coyle. Showcases filled with engagement rings, pendants, and bracelets, from brands like Bulova, Freida Rothman, and more, line the store. All the jewelers are cross-trained, but each has his and her niche. 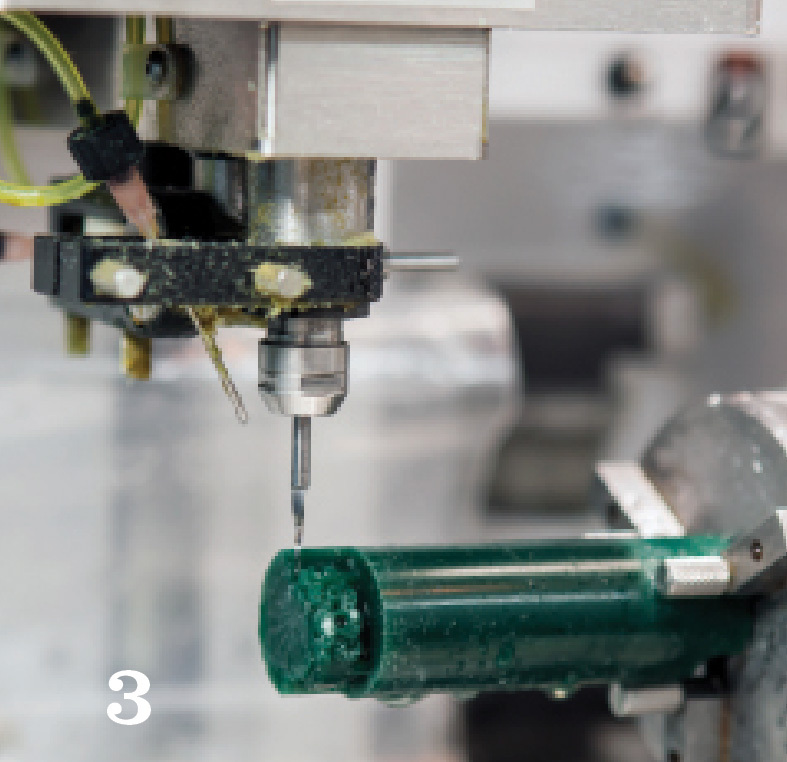 After a customer approves a custom-order design, Farrar uploads the computer file to a milling machine that carves the exact image into a green wax/plastic piece. Balser then takes this green piece and makes a plaster mold of it. It’s heated overnight in a kiln, so the green wax melts away, and he is left with a plaster mold in the morning. 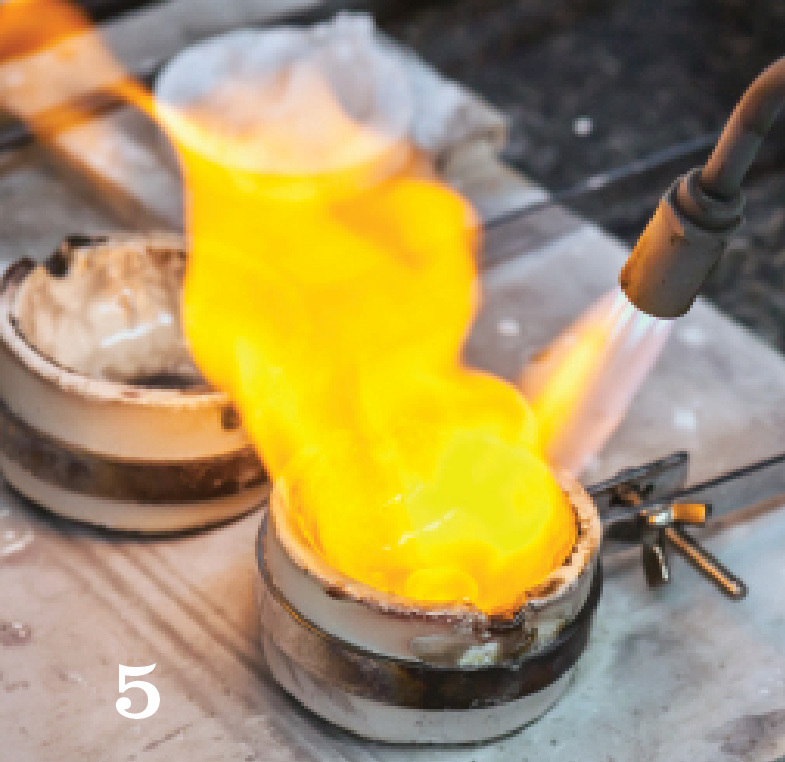 Balser then fills the cavity with molten gold (or whatever metal the client chooses), and as soon as it cools, the piece is ready for Norris or Farrar to polish, embellish, and set with precious stones. This custom-made jewelry service is especially popular for couples getting engaged who want something that is uniquely theirs. Coyle offers a tip for any gentleman picking out or creating an engagement ring for his girlfriend. “She’s probably dropping hints, whether the guy’s listening or not. There’s usually information there to be had. Be involved with it. Don’t just pick a ring out of the case and say that’s what she wants. Listen to her,” he emphasizes. As for the right moment to propose, Coyle says it does not necessarily have to be on a holiday such as Christmas or Valentine’s Day but on a day that is special and right for them. “It should be a moment that will stand out as their moment for the rest of their lives,” he says.